FORGE CASTLE COMBE (Wilts), Saturday 7th September. Events Team Supported. 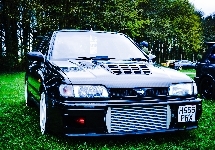 This is "Forge", an event at the popular Castle Combe Circuit - website link with further details. The club will have a stand at the event and have a track session too - details TBA later, but put this date in your diary if interested and subscribe to THIS TOPIC. 0 Booked already. CASTLE COMBE (Wilts), Saturday 23rd February. Events Team Supported. 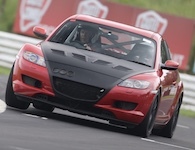 This is the Annual Meet Exclusive Track Day for the RX-8OC - details on this events can be found HERE. 26 Booked already. Spa on the second of October is two days before the TCR endurance race,would make for a great looong weekend,I am going to try to do both. BLYTON PARK Circuit (Lincoln), Tuesday 2nd July. Member Event. Full Open Pit-Lane day with Frank Hall Events, price £120. Topic now running JUST CLICK HERE. 1 Booked already. SNETTERTON 300 (Norfolk), Monday, 25th March. Member Event. Full Open Pit-Lane day with MSVT at £129. Topic now running - CLICK ON THIS LINK FOR DETAILS. 1 Booked already. Thinking of doing Oulton park again on Friday 15th November with Mazda on track. Still early bird price of £125. Can you tell me how suitable the Mallory Park (or anything at Donnington} is for a beginner? willberry70 wrote: Can you tell me how suitable the Mallory Park (or anything at Donnington} is for a beginner? Either - just get there early and book some tuition , they will show you what to do . I'm going to the owners club one as a novice, can't see a better way than to have a go than with a load of other RX-8 owners and predominantly them on track. CADWELL PARK (Louth), Thursday, 28th March. Member Event. Full Open Pit-Lane day with Javelin at £139. Topic now running - CLICK ON THIS LINK FOR DETAILS. 2 Booked already. Is it me or is the Javelin discount code not working? "Warning: Coupon is either invalid, expired or reached its usage limit!" I seem to recall that Javelin do a "rest" every January. @Nigel: are you able to contact Javelin to sort?